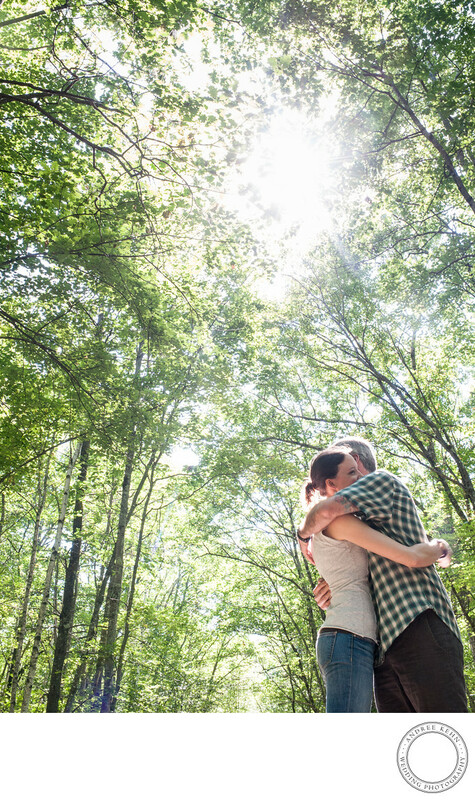 A strong vertical photo of this cute couple in the woods with the sun streaming through the canopy gives this engagement photo of strong vertical feel. I am generally loathe to shoot a wide-angle vertical photo, but this one just heightens the upward momentum of the image. Keywords: Hana and Scott (24). 1/60; f/11.0; ISO 1600; 35.0 mm.